Highlights of the Sky Bet League Two game between Cambridge United and Exeter. 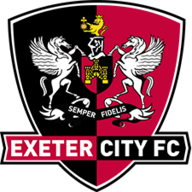 Exeter mounted an extraordinary late comeback to win 3-2 at Cambridge and keep their hopes of automatic promotion alive. The U's looked to have won the game when George Maris put them 2-1 up with an exquisite effort from outside the box on 67 minutes - his third goal in three games - but the Grecians struck twice in the final six minutes. Matt Jay pounced to equalise from close range after Greg Taylor had failed to clear and Jayden Stockley's shot was deflected into his path, before Jake Taylor struck the winner for Exeter on 87 minutes after Cambridge were again unable to clear the danger. 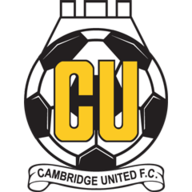 Jabo Ibehre had opened the scoring for Cambridge three minutes before half-time when a patient move resulted in Brad Halliday drilling the ball across for Ibehre to score from close range. Stockley equalised just before the hour when Hiram Boateng was given freedom of the left wing to pick out Stockley, who headed home.